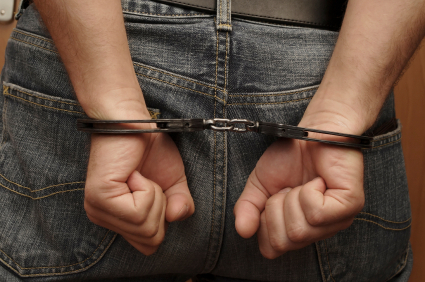 If you or a loved one has been charged with a criminal offense, one of the common first issues you may encounter is that of bail. Pending the disposition of your criminal case, a bond will be required for you to be released on bail in order to ensure your appearance at future court dates. Bail may be set at either a secured or unsecured amount. An unsecured bail means you are not required to pay a sum of money to be released on bail prior to trial. However, if you fail to appear the Commonwealth may revoke your bail and pursue a judgment against you in the amount of the unsecured bail. Secured bail amounts are common as well and can range as high as hundreds of thousands of dollars. Factors to be considered by the bail authority in setting bail are governed by Pennsylvania Rule of Criminal Procedure 523. The factors include: the nature of the offense, the defendant’s employment status and financial condition, the defendant’s family relationships, length of residence in the community, defendant’s age, character, reputation, additions, and mental condition, their previous compliance with bail conditions, prior criminal record, history of flight, use of false identification, and any other factors the court may find relevant. Bail set at the magisterial court initially may be set at what many accused would say is far too high. With limited funds at your disposal, your first impulse may be to call a bail bondsman who may post bail for you in exchange for a payment of a nonrefundable percentage of the bail (usually around 7 – 10% depending on different variables). However, a consultation with an attorney may prove even more fruitful. A judge of the court of common pleas has the power to modify bail significantly at any time prior to a guilty plea being entered in the case. Frank Walker is an experienced Pittsburgh attorney that can help guide you through all the common obstacles you may face in your upcoming criminal case, including bail issues. Visit our website at FrankWalkerLaw.com or call us any time 24/7 at 412-532-6805 to schedule an appointment. Attorney Frank Walker of Frank Walker Law is a National Top 100 Criminal Defense Lawyer and Personal Injury Attorney with offices in Pittsburgh Pennsylvania and Morgantown West Virginia. Attorney Walker is also a member of the National College for DUI Defense and qualified as aPennsylvania Death Penalty Defense Attorney.